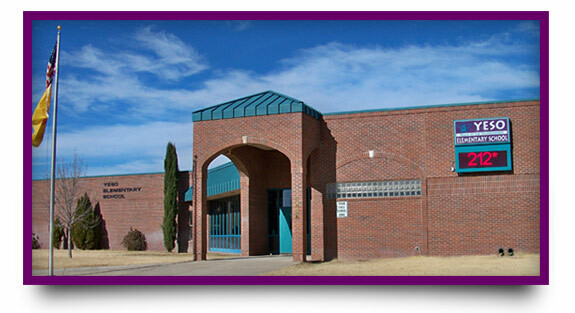 Yeso Elementary School serves Artesia students enrolled in grades one through five. Backed by a wonderful, supportive community, we are the largest elementary school within the Artesia Public School District. At Yeso Elementary, our team of highly qualified teachers is committed to preparing our students and helping them develop the skills required to receive an education beyond their elementary school years. We believe in our students. We know that with hard work and the right tools, they can and will succeed. As our motto states, we will do Whatever it takes. Our kids are worth it! Our motto for the school year is Expect Excellence NOW! We have faith in the potential of your child. Adapting our mindset to expect only the best is a process. We know that. But it is an exciting process focused on what is best for your child. Acting on our theme to Expect Excellence NOW, our teachers have raised their expectations of the students. We want all involved to have more faith in the students. Even if a child has struggled in the past, we will not accept a performance that does not match ability. We invite you to help us in this endeavor by making sure your child completes his or her homework, receives adequate sleep, and arrives to school on time and ready to learn. Together, we can help our students be prepared to pursue their dreams. Motto: Whatever it takes. Our kids are worth it!